Today we announced 1871, a center for digital entrepreneurs to instantly plug into a vibrant community of peers, mentors, partners, and investors. 1871 will be home to hundreds of entrepreneurs, developers, and designers who are building the next generation of successful digital technology companies in Chicago. At a pure physical level 1871 is going to be amazing. It will be almost 50,000 square foot space and located in the Merchandise Mart. Sweeping views of the Chicago river and River North will frame the space. 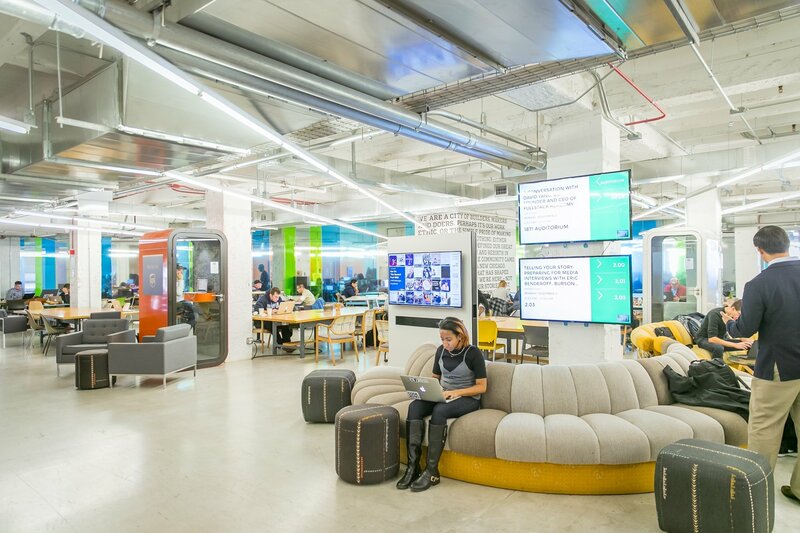 The space is designed by Gensler, world renowned architects, with input from more than 100 digital entrepreneurs in Chicago. It will take your breath away. But the real essence of this place is the people and the ethos. It will be a community of people learning from each other, supporting each other and sharing a few beers. It will be THE place that you will want to be when the idea you have had bouncing around in your brain won’t go away and the little voice telling you the time is now to pursue your dream of starting a company just can’t be ignored any more. Because not only will there be hundreds of other people there that you will draw inspiration from and learn from, but a wide swath of the Chicago community is getting involved to make sure you have access to an incredible array of resources. 1871 will open in the spring. In addition to hundreds of co-working desks, offices suites and conference rooms we will have a full schedule of classes, seminars, conferences and other activities specifically designed for the digital community. Chicago’s leading developers, designers, serial entrepreneurs, investors and educators will be at 1871 nearly every day teaching classes, holding events and participating in one-on-one mentoring sessions. 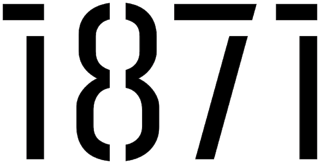 Why is it called 1871? Historians will tell you that the story of the Great Chicago Fire isn’t really a story about a fire at all; it’s a story about what happened next. Just after the Chicago fire, the citizens of Chicago and the world came together in one of the great entrepreneurial endeavors in history, to rebuild Chicago into the model of the modern city. Today, the digital community of Chicago is coming together at a place called 1871 to build the businesses of our future. 1871 was a unique moment in history, the beginning of one of the greatest periods of innovation the world has ever known. The best engineers, designers and builders came together to revitalize Chicago using the latest technologies, and their work catalyzed decades of innovation. And that’s what 1871 is about: entrepreneurship, digital technology, and innovation in Chicago. Chicago’s digital technology community has been growing steadily and methodically over the past decade. More than 25,000 people are employed by digital companies in Chicago. In the last 2 to 3 years, our ecosystem has hit critical mass on the most important measures: availability of private capital, number of successful serial entrepreneurs, proliferation of community organizations, and a new level of government support. We’ve had more than 40 Chicago tech exits of greater than $100 million in the last decade. Since builtinchicago.org launched a little more than a year ago, it has drawn 250,000 users and has more than 7,000 members with profiles. 2011 was a record year with digital companies raising more than 1 billion dollars. And the truth of the matter is, we are just getting started. I got involved with 1871 about seven months ago when J.B. Pritzker asked me to chair the effort. The idea for a physical space to bring together the technology community had been talked about for a long time, and J.B. decided it was about time we did something about it. So with his encouragement and leadership we started talking about it to anyone who would listen and holding group sessions to surface all points of view. After hundreds of discussions with entrepreneurs, developers, designers, civic organizations, educational institutions, and investors, we were convinced there was a significant need. We started lining up the support that would be needed to pull this off. J.B. provided the seed capital and backed the lease. The Chicagoland Entrepreneurial Center will manage 1871, and they will be working with entrepreneurs, corporate sponsors and educational partners to bring the center to life. But the real long term success of 1871 will come from all of you helping to support and promote each other. In the words of Daniel Burnham, we will “make no little plans”. 1871 is a big idea whose time has come. I hope you’ll join us.